Here are a couple of new works going to my show at the new Arden's River Oaks Gallery in Houston. 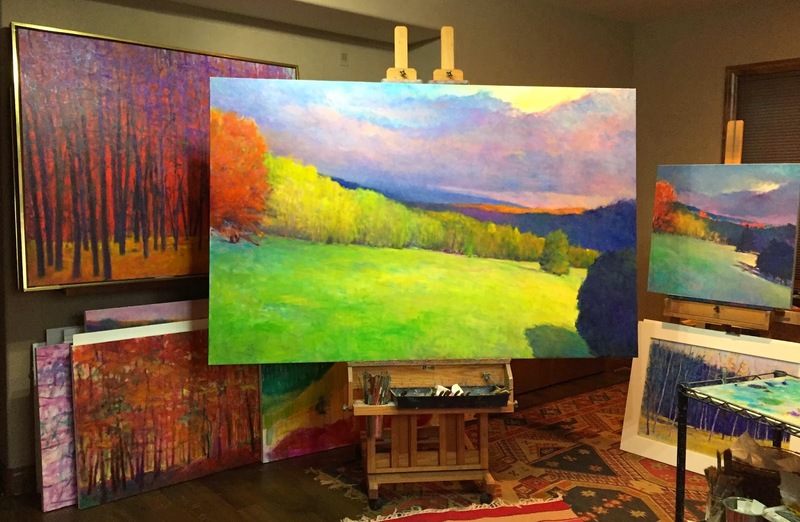 On the easel is a 5 x 7 foot variation (untitled at this point) of the 30 x 30 oil sketch to the right. I did that small sketch at a Making it Fine Art Workshop in Omaha, NE last year. Upper left is a 4 x 5 foot oil that is also for the exhibit, Deep Red Forest. On the floor is an oil left and pastel right, both in progress. I'm looking forward to seeing what happens next!